Elevating or placing focal flowers in front as well as infusing round shapes with elongated ones for balance and drama is key. I also like designing in odd numbers, in other words I typically use three or five of a certain flower versus four or six unless I am using a very large number of a single variety. I opt out of fillers with tiny buds in favor of solid greens like lemon leaves, myrtle, or eucalyptus leaves depending on the hue and shape of the blossoms. This gives the arrangement a cleaner, more refined look. Opt for vases that suit your blooms and their placement in the home, keeping in mind that some flowers like tulips and lilies continue to grow. A taller vase for example would be better suited to an entryway or kitchen island than a nightstand. I like to infuse classic with modern and collect glass vases with traditional lines as well stainless steel, pewter and wooden ones. On our wedding day, I received my first hand blown vase by Simon Pierce which continues to be one of my favorite classics. While not always feasible, especially in some agricultural zones, buying from local suppliers means that you are supporting local businesses that yield the freshest blooms. I have much respect for these farmers who are up shortly after midnight, setting up their booths at 3:00AM. In addition, most imported flowers negatively impact the environment as they require refrigeration and contain many chemicals to preserve them in preparation for transport. Always use flower food, it really does make a difference! In a pinch I find that a 1/2 teaspoon of sugar and a few drops of bleach keep the flowers happy and water clear. One of the Farmer's Market vendors from whom I purchased roses in Santa Barbara swears by a penny in the vase which seemingly aids in preventing bacteria growth, though I haven't found this method to be very effective. Buying seasonal flowers to me is as natural as opting for seasonal vegetables and fruit. Right now, during the winter months I like to buy hydrangeas* and lilies. Some local growers even have garden roses which I purchase any chance I get. As much as I love peonies, you can't locate them in winter unless they are flown in so I exercise patience until late February and March when local peonies are available in all their splendor. 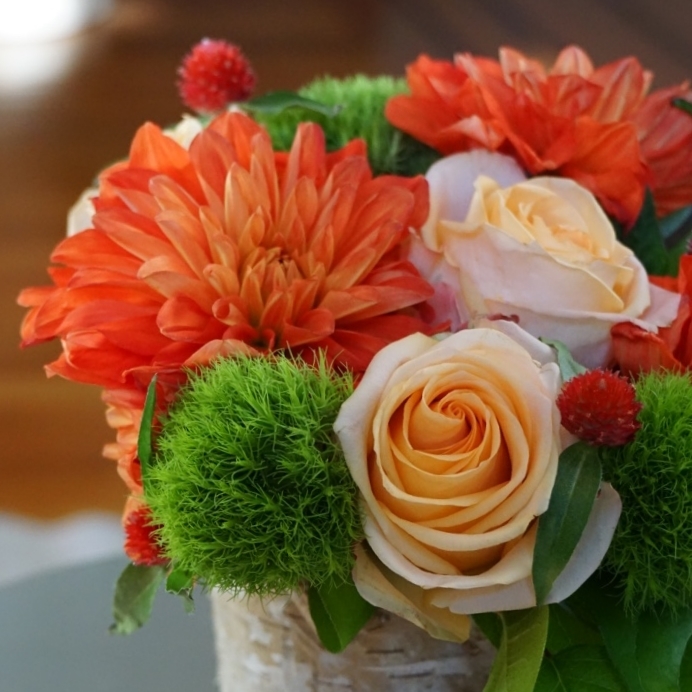 If you can't easily part from your favorites, consider similar blooms to transition out of them. Ranunculus, for example, have a similar feel to that of some rose varieties and are a great way to transition into the next season without too many sacrifices for the rose obsessed like me. If you don't have access to a flower mart or farmer's market, ask your local provider when they receive fresh deliveries and which flowers are from local providers. Cut the stems at an angle and change the water every 2-3 days, which is crucial to avoid bacteria growth. I don't refeed but feel free to do so. These elegant blooms need A LOT of water and unlike most flowers they hydrate not only from the stem but from the petals too. Cut the stem at a sharp angle and submerge it in one inch of very hot water for 30 seconds. The heat breaks down the sap allowing the flower to absorb water. Remove the leaves, at least the larger ones which rob nutrients from the bloom and try misting the petals with water, but be mindful of surrounding flowers which have an aversion to dampness. If you would like to see more photos of my flower designs, check out my post "On Floral Art." Enjoy your blooms!